Farm to Summer: How Regional Offices and State Agencies Support Farm to Summer Webinar - This webinar provides an overview of farm to summer activities, resources, and a snapshot of how Regional offices and State agencies have encouraged sponsors to adopt farm to summer principles. From MAP addendums to partner meetings, discover how your Regional and State colleagues support “bringing the farm” to Summer Meal Programs. Farm to Summer Fact Sheet - Use this fact sheet for summer meal program tips on incorporating local foods and agriculture-based activities. Local Foods and Related Activities in Summer Meal Programs (SP-07_SFSP07-2016) - This policy memo provides guidance on the incorporation of local foods and nutrition and agriculture-based activities into Summer Meal Programs. Summer Meals and FoodCorps: An Introduction for State Agencies - Check out this two-pager to learn how FoodCorps can support summer meals. Procuring Local Foods for Child Nutrition Programs - This resource covers procurement basics, defining local, where to find local products, and the variety of ways child nutrition program operators can purchase locally in accordance with regulations. 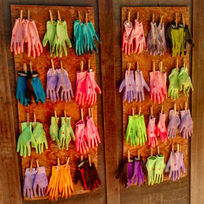 USDA Farm to School Census - Locate schools that include local foods in their SFSP. 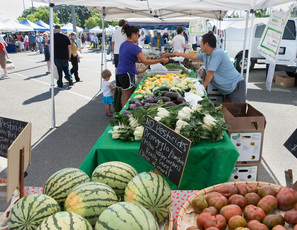 SFSP Toolkit - Find local foods guidance for state agencies, sponsors, and partner organizations, along with tips for starting a summer meals site at farmers markets. SFSP Handbook - Sponsors can find guidance on procurement and tips on targeting local foods. 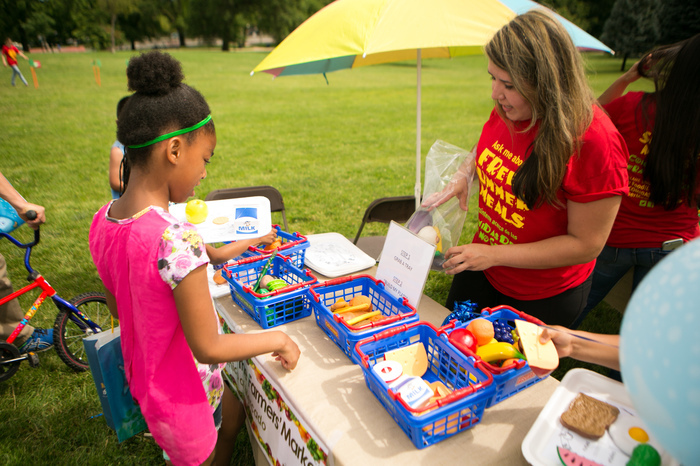 SFSP Webinar Series - Listen to presenters discuss incorporating local foods in summer meals, building awareness about summer programs, engaging in partnerships that help boost participation and increase access, and more. Capacity Builder Map – This tool allows sponsors to visualize community data, such as the locations of farmers markets, Turnip the Beet winners, and previous Farm to School grantees, as they plan for new summer sites. 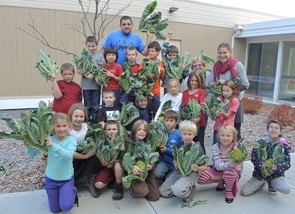 In Lowell, Massachusetts, Mill City Grows (MCG) keeps the farm to school movement going during the cold New England winter through their Farm to Table Program! 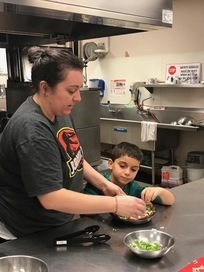 Piloted in 2015 with funds from a USDA Farm to School grant, MCG works with 8-10 families over the course of 5-part workshop series focused on preparing nutritious, affordable, kid-friendly meals using local produce. MCG partners with afterschool programs and Lowell Public School District’s Food and Nutrition Services to facilitate workshops in school kitchens and cafeterias across the city. The final workshop in every series is a potluck where each family brings a dish that represents their personal food traditions. Mill City Grows’ mission is to foster food justice in Lowell by improving physical health, economic independence, and environmental sustainability through increased access to land, locally grown food, and education. 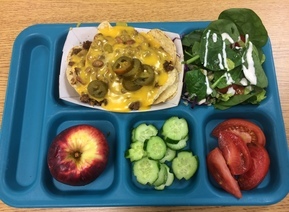 Join USDA's Office of Community Food Systems, Montana Beef to School Project, Montana State University, and school food service directors to learn about successful strategies for serving local beef in schools. The webinar will explore the Montana Beef to School Project’s findings and resources - including two new beef to school solicitation templates designed to help school districts purchase local beef! Participants will also hear from two school food service directors who will share their strategies and lessons learned for purchasing and serving local beef in schools. Join National Farm to School Network staff and partners to learn about the organization's equity statement and hear from farm to school practitioners about their successes and challenges with advancing equity through farm to school. This webinar is coordinated in partnership with the National Young Farmers Coalition (NYFC) and is geared towards farmers and producers selling to schools as a new market.